Welcome to Blogmas Day 11! Today’s post is another gift guide and as you may have read but this isn’t for men or women (they’re coming the next two days! ), it’s for anyone! I am doing both men’s and women’s but wanted to do a general one! So here is my gift guide for anyone in your life that may like these presents! There are links within each paragraph to buy the product! DISCLAIMER: this post is not sponsored by any of the companies and brands mentioned. Karishma is a London based artist. She does commissions on life drawings and architecture. 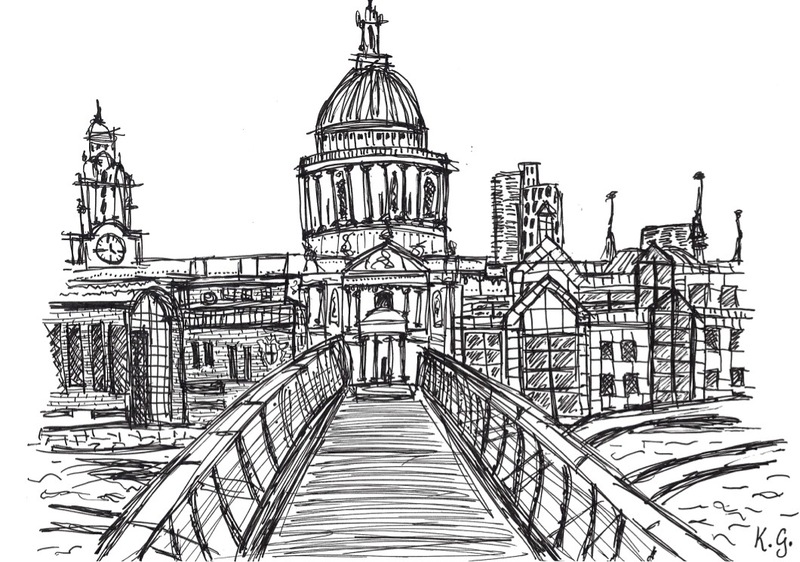 Her drawings are amazing and if you wanted to get someone a drawing of their favourite place or their home, Karishma can do it for you! She evens sends you a photo of the finished painting before she sends it in the post to you just so you can see what the finished product looks like! I love Karishma’s paintings and from £40, you are getting quality work! You can get 10% off with my code SDB at Checkout! Check out her portfolio! If you want to get something with inspirational and motivational quotes on, I found the perfect thing! There are 52 cards in this pack, each with a quote or saying on them. They have given me motivation over the last couple of weeks when I’ve had none and they have beautiful photos on the front which is also motivating to me. I think if you need to give someone some motivation, these are very helpful for getting that daily or weekly motivation. You can even get the whole package with an online journal. This one is for 18+ Years Old. I do not condone underage drinking. 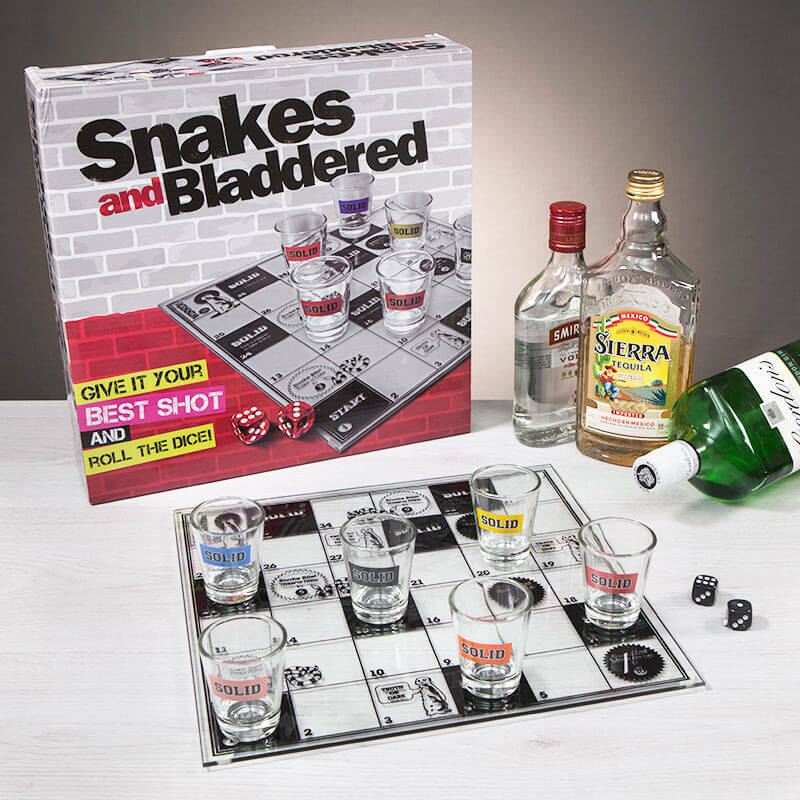 I love Prezzybox and when I saw Snakes & Ladders turned into a drinking game, I knew more people would be interested in this. For only £10, this is a good bargain! A twist on the classic game, Christmas is going to be fun with this! There are 6 shot glasses so you can have fun with all the family! They are going fast so get yours quick! Another one from Prezzybox because who doesn’t love retro 8-bit games? 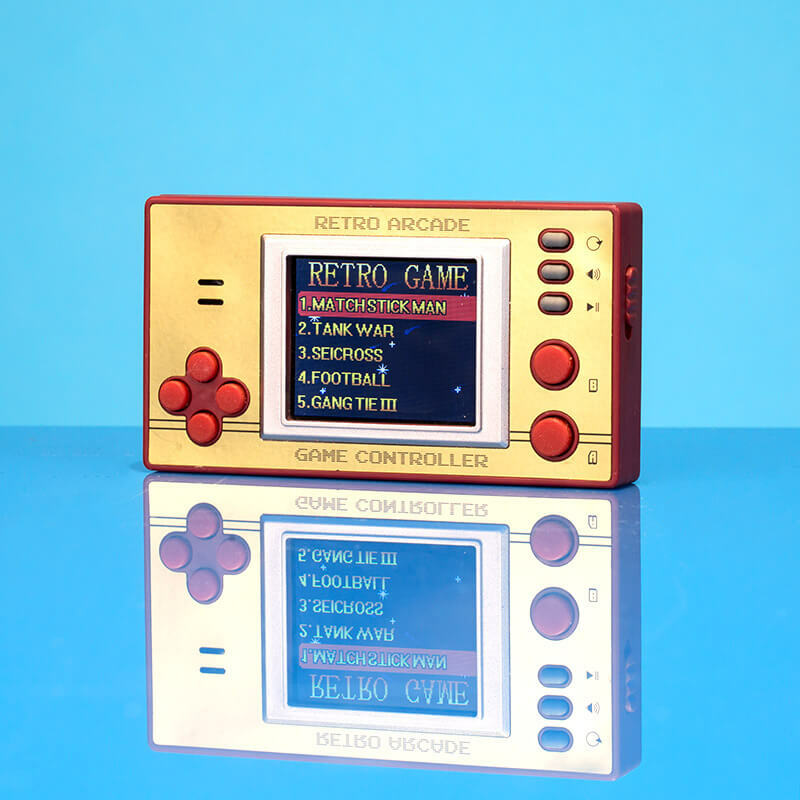 I found this Retro Pocket Game while looking for presents for my family and let’s just say, I want to buy this for myself. I love old games and for only £14.99, it’s a bargain. With over 100 games, the fun will never end! I love my DS but I know I would use this more! Especially as it is small and would be so good on the coach or train! 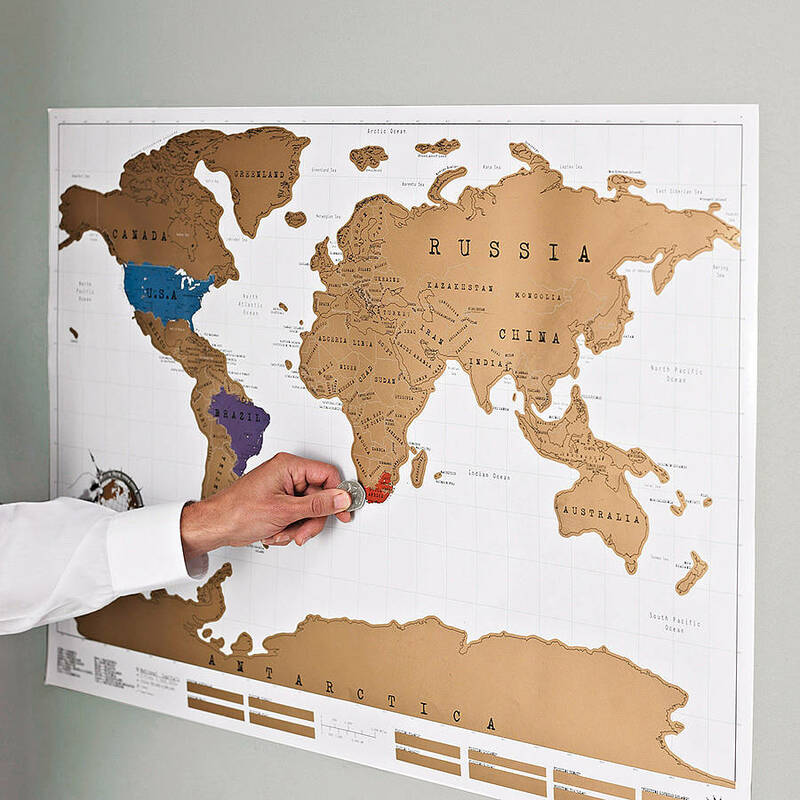 I have one of these Scratch Maps in my living room and I am so excited to start scratching things off when I visit different countries. If you have a traveller in your life, this is a perfect present for them! It is also a really cute map! I love mine and it looks really pretty in any room! This one from Not On The High Street can be personalised! Everyone loves a bit of Frida Kahlo in their life and Anthropologie are selling this little pocket-sized book of her quotes for £5.99. There are quotes about love, life, style and the book celebrates Frida. 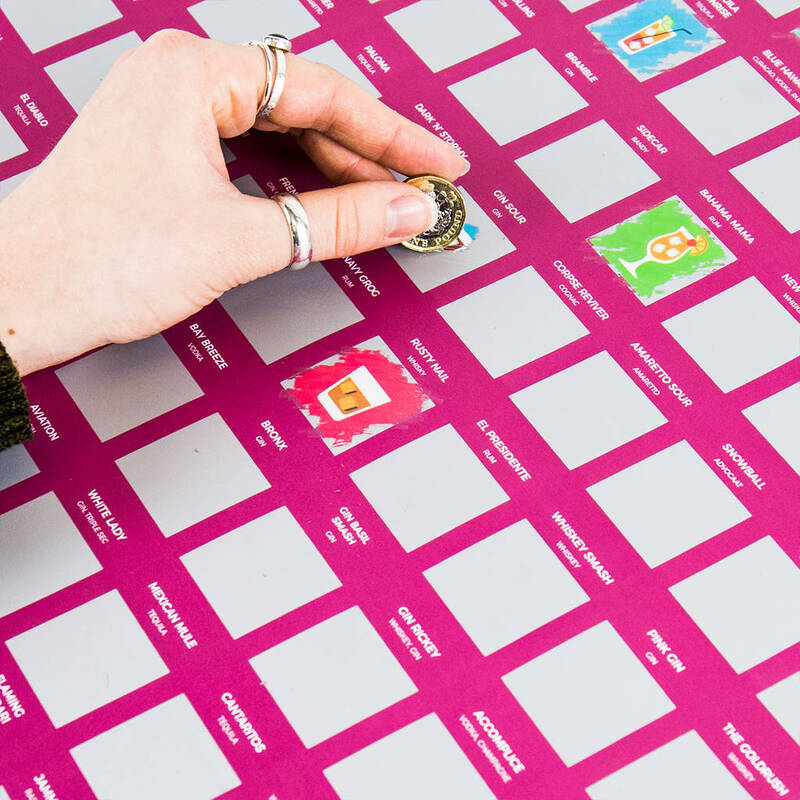 There is nothing wrong with a cocktail in my opinion and I saw this bucket list where you can scratch off when you taste certain cocktails. I honestly am considering getting this with the number of cocktails I drink. For £12.99, this is a cute present for the cocktail maker and lover in your life! So there are my picks for the Gift Guide for Anyone! QOTD: At Christmas, do you prefer champagne or wine?